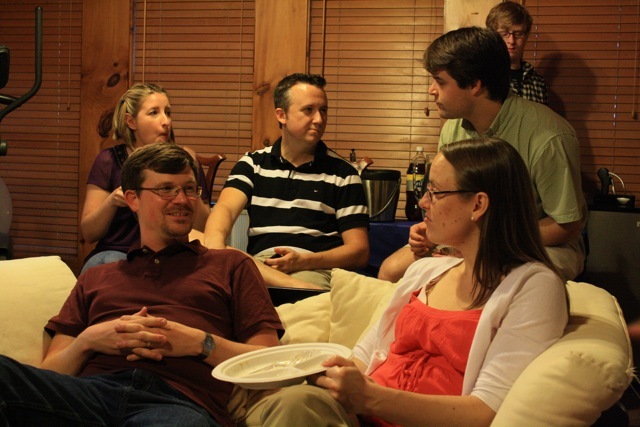 This summer, Artie and I have been attending a small group with three other families from our church. 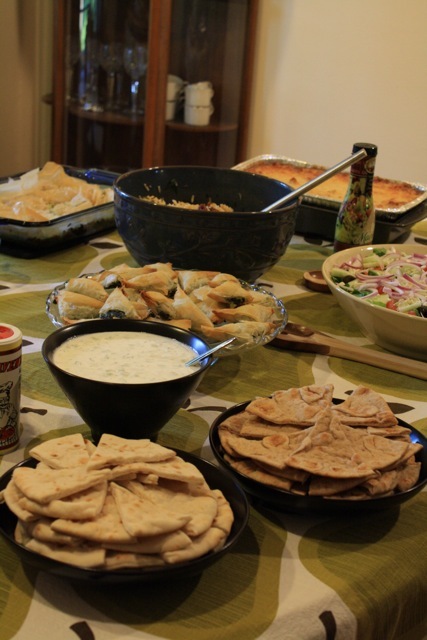 Together with the Michaels, the Switzers, and the Gower-Winters, we decided to host a Greek themed party and invited our friends. 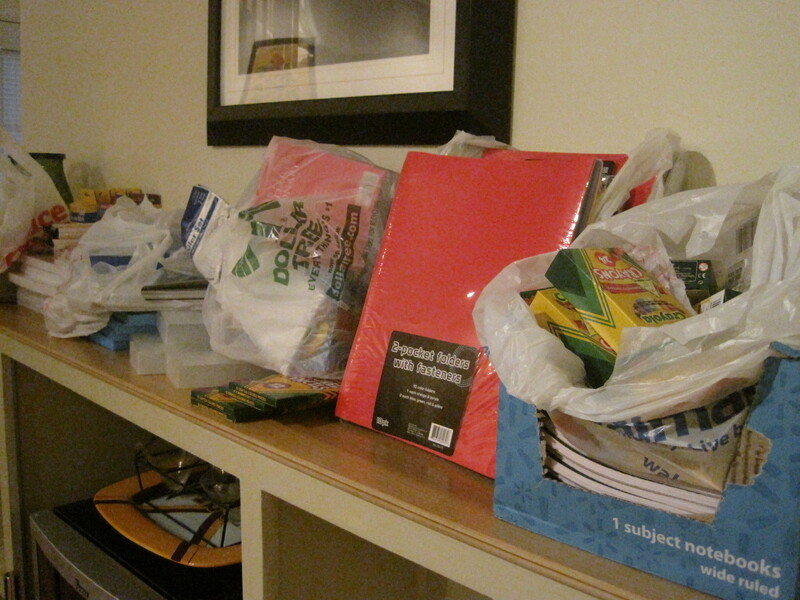 Everyone was asked to bring school supplies as part of our church-wide effort to support a local elementary school. 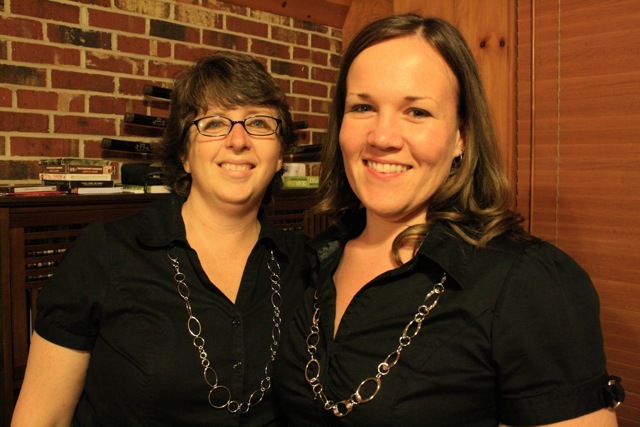 The party billed itself as “good food, friends, and fun” and we delivered! 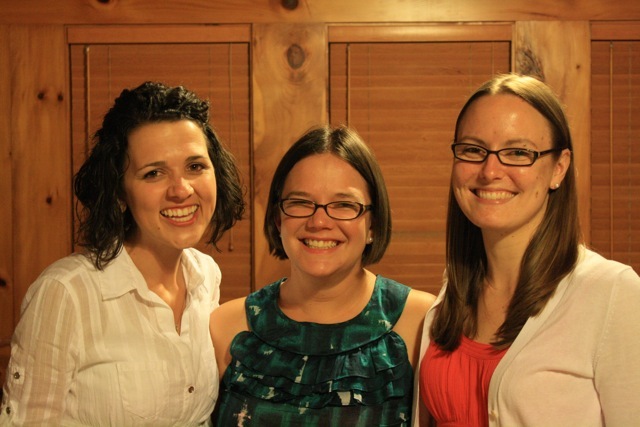 Below are the Greek eats and snapshots of an evening of fun, food, and fellowship! Opa! 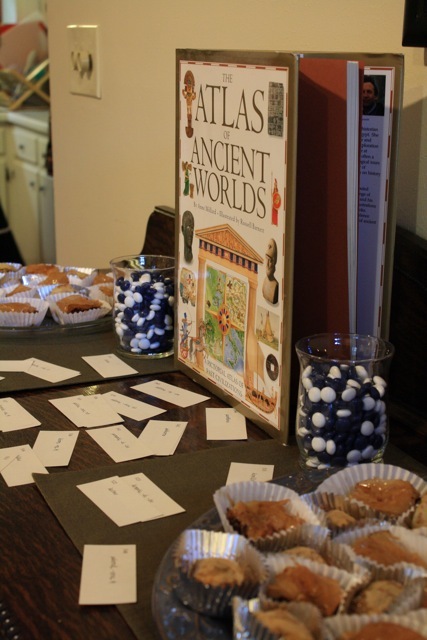 Andrea is so detail oriented – she even brought mini York mints in blue and white (the colors of the Greek flag) and some of Mark’s Greek flashcards and text books from college. 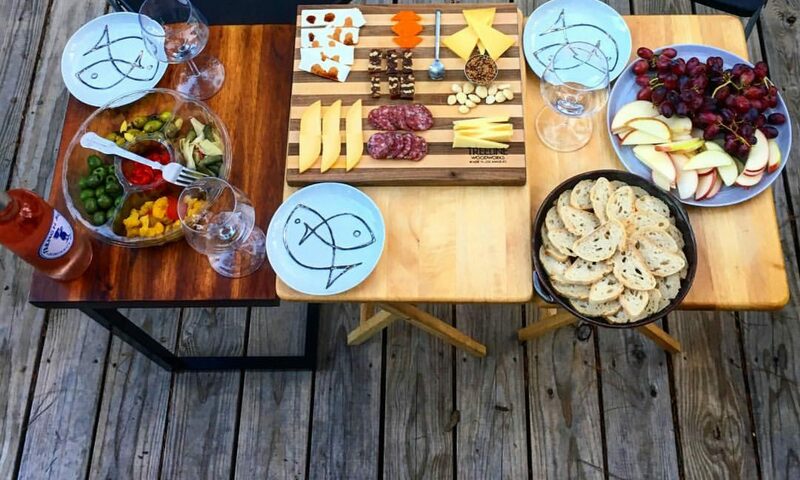 The delicious spread. Greek food is so good! Creamy, tangy, garlicky Tzatziki sauce. This is an Artie White original recipe and it was so good. How good? Sooooo good! Recipe coming soon. 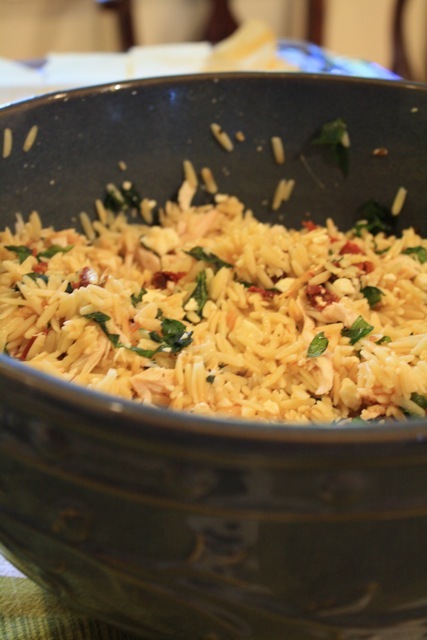 Chicken and orzo salad. Such a yummy dish served in such a pretty bowl. 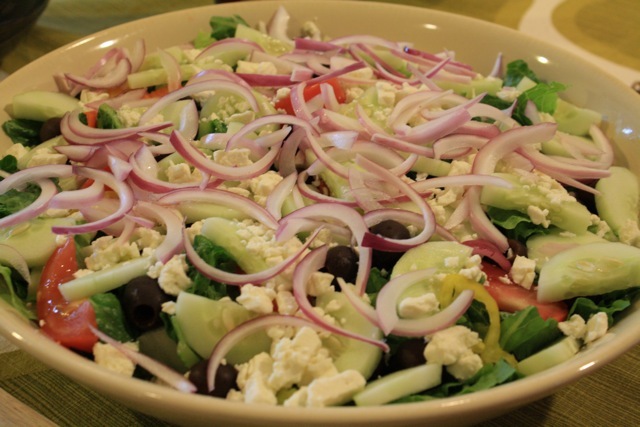 One of Shannon’s famous salads, Greek-style. 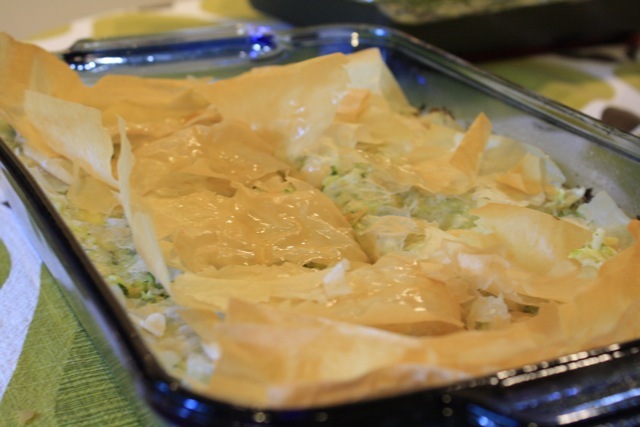 Zucchini and feta pie. A White house standard during squash season. 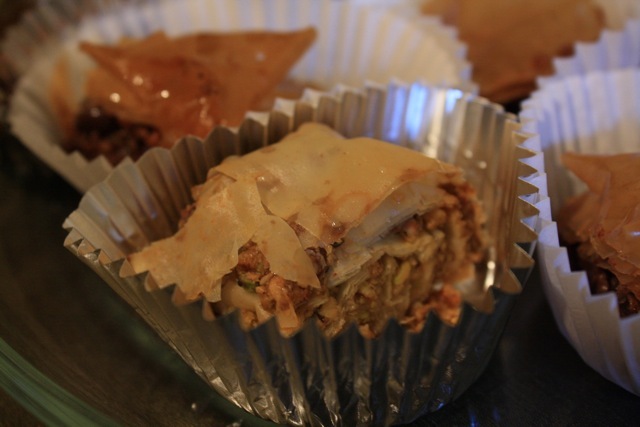 And two types of homemade baklava – regular and chocolate. Sticky, nutty, and so yummy! I didn’t get a close-up picture of the Pastichio (it was covered in foil when I was making the rounds with my camera so I overlooked it), but it went fast so it must have been good! The evening even included Greek trivia. 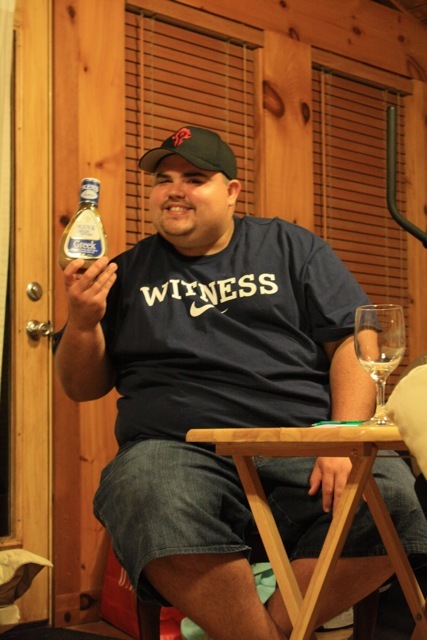 Shawn walked away with the prize – Greek dressing, of course! Not only did we have a great time, eat lots of Greek food, and realize that we don’t know a whole lot about Greek mythology trivia, but we collected a lot of school supplies! ‘Twas a great night and we’re looking forward to another party themed around a different country soon!